"These VeeBoards® give us the EDGE with our customers. We deliver all our freight safely and undamaged. Our VeeBoards® are two years old and still going strong, proving to be a worthwhile investment." 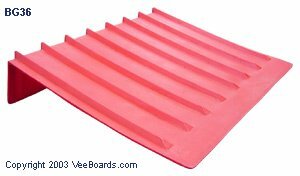 "Make sure you use the ORIGINAL VeeBoard®, thicker and tougher than competing knock-off's. Look at these take a load, protecting MetlSpans expensive cargo."